wine region Wairarapa. 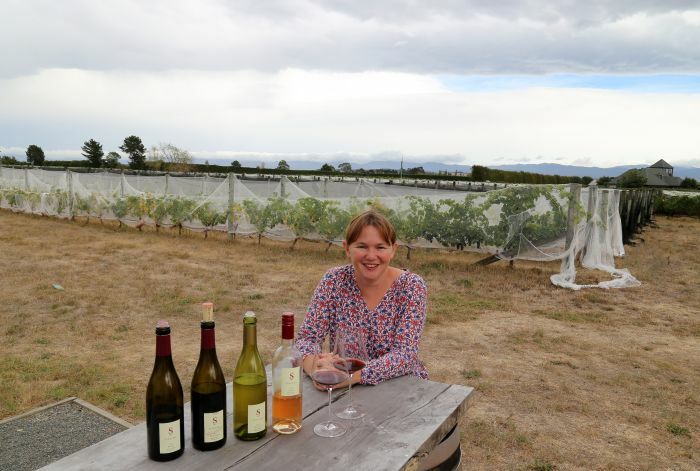 As only two percent of New Zealand’s wine is produced around Martinborough, we mainly visit small family businesses and even find a German winemaker. 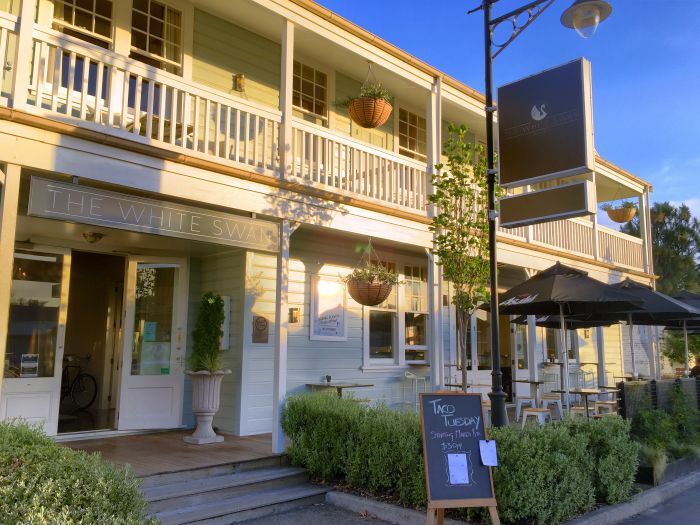 A good starting point for exploring the wineries is the small town of Martinborough. Founder John Martin organised the first roads in the pattern of the Union Jack, his daughters were allowed to give the paths names and so we drive through the Cologne, Venice or Dublin Street. Today we stay at „The Old Manse“, an old wooden villa where Megan and Malcolm Pentecost opened a lovely Bed & Breakfast one year ago. We arrive early and so we can choose a room. We opt for a spacious bedroom suite with a huge bath with tub and shower. Just opposite is the large common room overlooking the vines that grow behind the house. All guests are welcome to use kitchen, living area and terrace, every evening Megan and Malcolm invite the guests to some snacks and offer a wine tasting. The sun is shining and the we taste Pinot Noir and Sauvignon Blanc and exchange tips for the next day. The next morning our culinary tour begins at Olivo. On the outskirts of Martinborough we pass through a grove of 26-year-old olive trees and meet John Meehan. Together with his wife Helen, he starts pressing olive oil 15 years ago and developed delicious combinations with other natural products such as lemon, fennel or chili. The younger olive trees are just nine years old. Now at the end of the summer tiny green olives are hanging on the tree, because harvesting time is in the New Zealand winter, so in June. 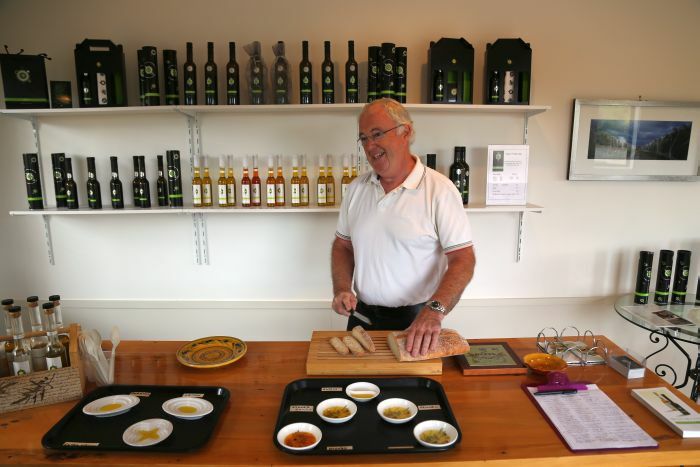 The quality, cold-pressed extra virgin olive oil is very popular in Wairarapa. With fresh sliced ciabatta pieces we also try the olive oil combinations with orange, cumin or smoked paprika. For each oil there are recipe cards with tips on matching dishes. I love the recommended combinations with ice cream or chocolate and will try them at home! 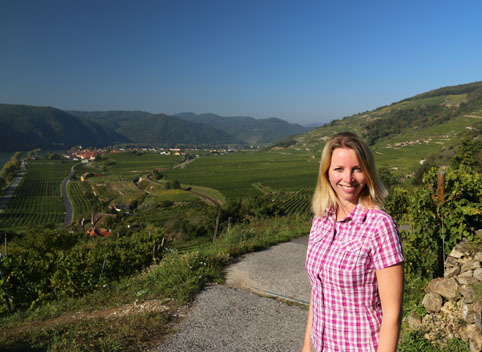 From Olivo it is only a short drive to the winery of the German winemaker Kai Schubert. 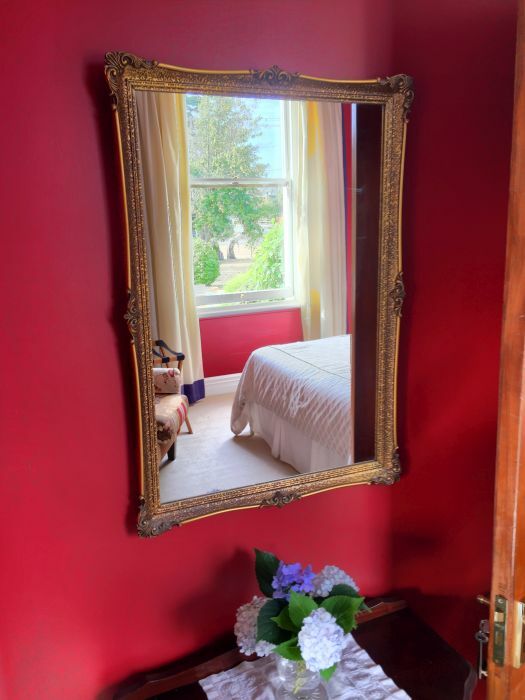 The Pinot Noir lover studied oenology in the German city Geisenheim and searched around the whole world for the perfect conditions for the cultivation of his favorite grapes. In 1998 he found the best region for Pinot Noir in Wairarapa, bought some land and plant the vines. Today he cultivates 13 hectares together with his partner Marion Deimling, who is also a winemaker. 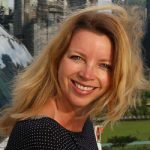 For a wine tasting we meet Vanessa Paton. The young New Zealander serves a slight rosé from Pinot Noir grapes, unique however is the Tribianco, a blend of Pinot Gris, Chardonnay and Müller-Thurgau. The latter is hardly grown in Wairarapa, but Kai and Marion keep the vines as a reminder of their homeland. A highlight is the recently finished Pinot Noir “Marion’s Vineyard”. 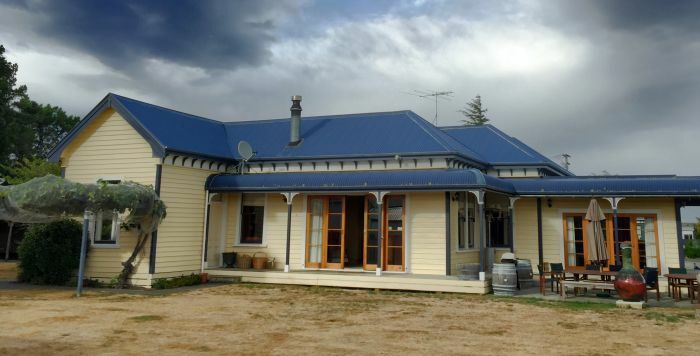 The vineyard is located about 20 minutes north of the “Cellar Door” in Martinborough and provides a perfect climate. 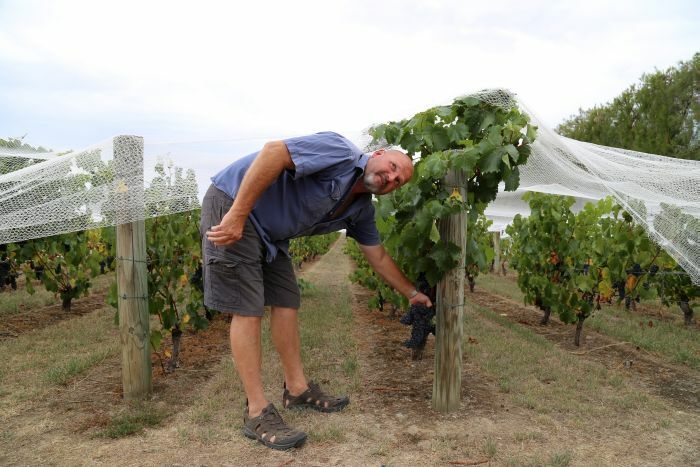 Just around the corner Shawn Brown has almost 5,000 vines with Pinot Noir and Shiraz in his small garden and has been operating for over ten years the Muirlea Rise Winery. 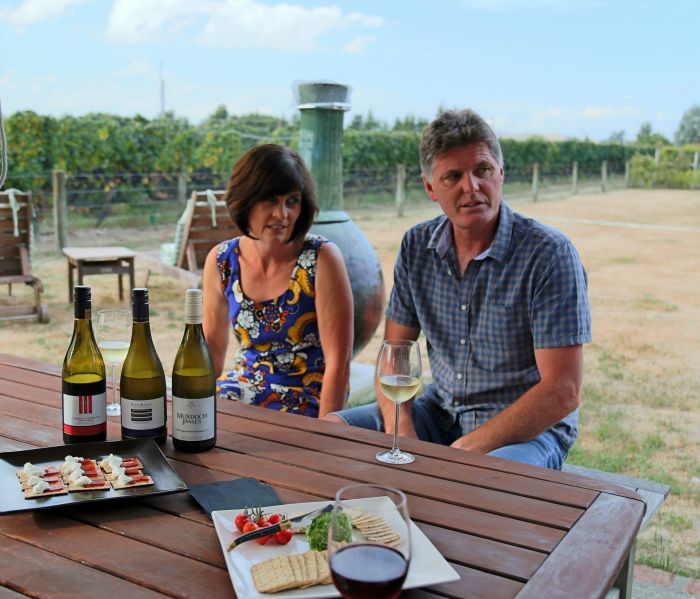 He took over the tiny winery from his father and is the first winemaker in the second generation in the young wine region Martinborough. He produces high-priced but very delicious Pinot Noirs. Surprisingly a blend of 96 percent Pinot Noir and only four percent Shiraz tastes very different – a must try! However, my personal highlight is the sweet, deep red dessert wine that comes along with a slight melting and fits perfectly to the dark chocolate Shawn Brown offers us. „The White Swan“. 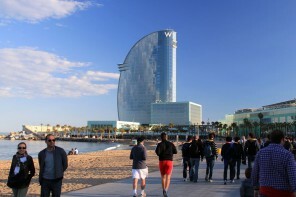 The restaurant is located in one of the most beautiful buildings in the city and serves delicious dishes, such as lentil salad with salmon or lamb with honey carrots. 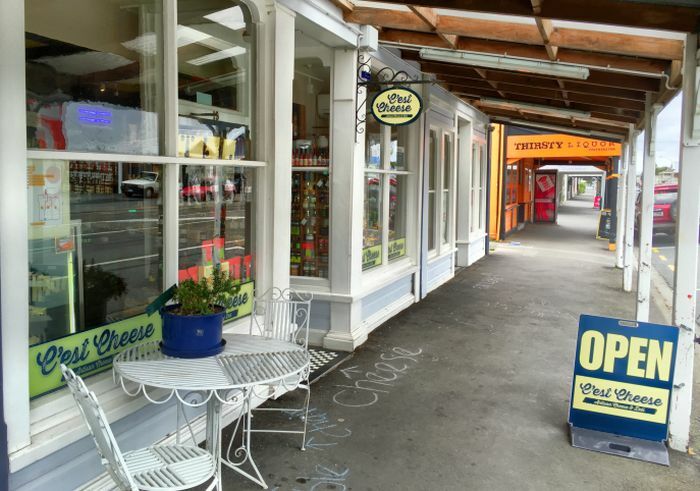 On the way back to Wellington we stop at the small settlement Featherston to visit the small shop C’est Cheese. Cheesemaker Paul Broughton sells in his tiny shop special cheeses from the region, but also culinary souvenirs like olive oil, chutney or chocolate. 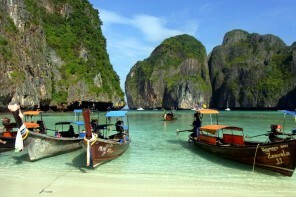 Note: This trip was supported by Tourism New Zealand. The report only represents our own opinion.